Our Mouse, coming up on physical maturity. Almost ready to start at 7 years old. Below is the link to the best article I’ve ever read on this subject. It teaches that no horse, of any breed, in any country, at any time in history either now or in the past, has ever been physically (skeletally) mature before it is six years old (plus or minus a few months), including every healthy, domestically-raised male and most female horses on the planet. Gaited horses (Tennessee Walkers, American Saddlebreds, etc) can require up to 8 years to fully mature skeletally. Our Mouse (above) is a rescued Saddlebred. This article is written by Dr. Deb Bennett Ph.D. Dr. Bennett is a 1984 graduate of the University of Kansas, and until 1992 was with the Smithsonian Institution. She is considered by many to be an authority on the classification, evolution, anatomy, and biomechanics of fossil and living horses. Below are a few key quotes from the article (but I encourage you to take the time to read the entire paper). This was the way years ago….today $$$ rules!! and so then. . . don’t put shoes on until 6 or 7. . .and then if you’ve waited that long, you won’t need them! I subscribe to Equus magazine & Deb Bennett very often has articles there. She sure does know her stuff. I’ve been telling people for years that to ride 2 year olds is just not good for them. In so many ways! I’m sure the racing industry doesn’t want to hear this nor the many futurities. Thanks Joe – You have smartened me up in many ways! Maggie… The sad part is that the racing people know. They just refuse to act on that knowledge. Which leaves others, regular horse owners, believing it’s okay. To the racing folks: What you say and do in this world does have consequences. You can choose whether yours will be positive or negative. That’s terrific Eve. So many do not follow your philosophy, which really is a philosophy for life as well as horses. Stand tall! Keep on keepin’ on. Thanks Joe for the article. Dr. Deb is a huge advocate of the American Saddlebred. I have been riding them my entire life. Years ago we always started our ASB’s at the age of five or older. 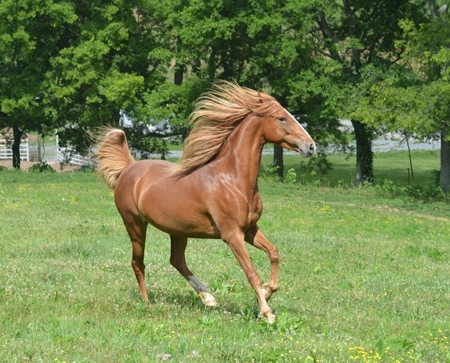 Saddlebreds are usually slow to mature but age well with good care. It breaks my heart to see the gaited horses started at such an early age and our in the showring at age two. This applyies to other breeds as well. There are those of us who love our horses and those who ride their ego at the expense of the horse. BRAVO, Joe! I’ve shared Dr Bennett’s article so many times, but I usually hear, “I don’t ride my two year old very long, just short trail rides.” And it kills me to know that the most famous trainers and clinicians and jockeys all start them that early. You have much more credibility than most, maybe you can get this proven information out to them! We just keep dripping away Robynne :).